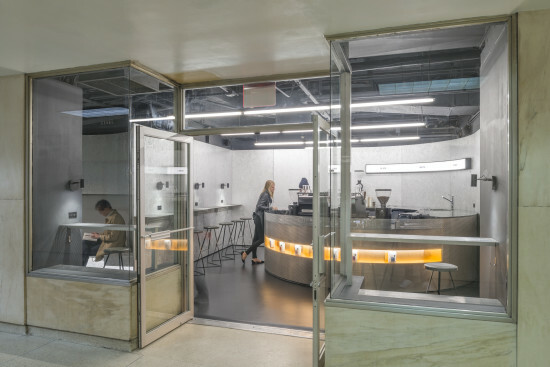 Voyager Espresso, a 550-square-foot coffee bar, brings the perks of artisanal coffee to New York’s perpetually caffeine craving Financial District in the new Fulton Center. 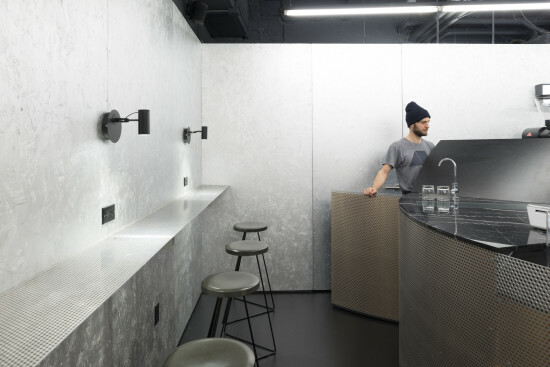 The bar opened in January and was crafted by New York–based design practice Only If, a team of five architects and designers founded in 2013. 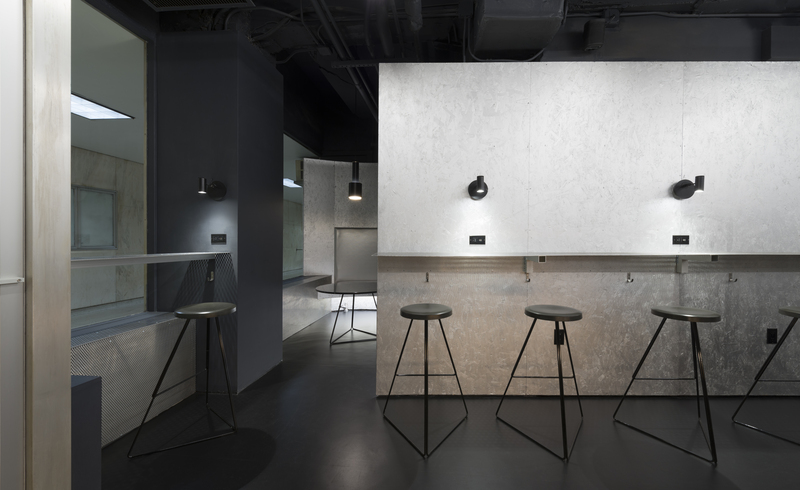 The clients, a pair of Australians, wanted the space to look distinctly different from the ubiquitous white tile, reclaimed wood, and Edison bulb coffee shop aesthetic and had ambitious plans despite their tight budget. 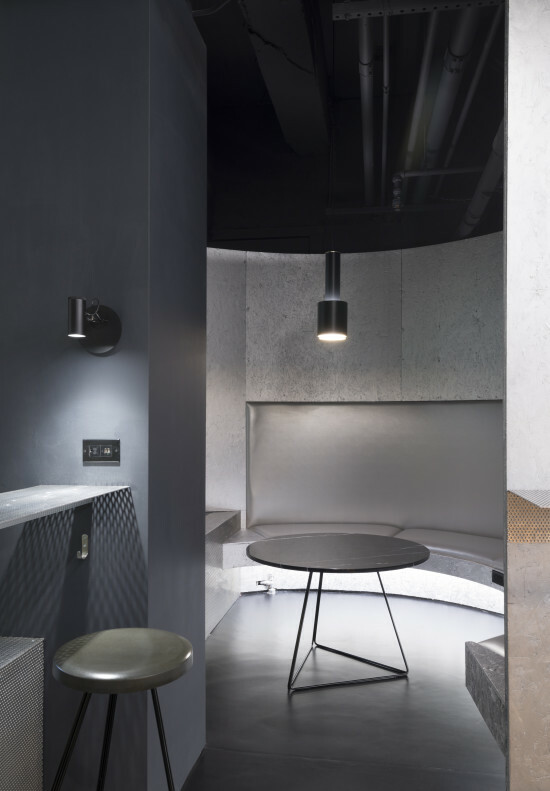 With this in mind, Adam Frampton, principal at Only If, opted for an “inexpensive but futuristic” material palette of aluminum enamel painted oriented strand board, black marble, perforated aluminum and copper, and black rubber. The careful planning paid off: After seven weeks of preparing the design and obtaining the correct permit, drawing, and construction documents, the space was built in about eight weeks. It is now open Monday through Friday, 7:30 a.m. to 5 p.m. at 110 William Street through the John Street subway entrance.